So I've seen 4 movies in the past 4 days and have been kind of busy, so I haven't had time to write about them. And since I didn't have a lot to say about each one, I'll just briefly talk about them all in this one post. Don't think of it as being lazy, but rather, think of it as saving paper. I'll do them in the order that I saw them. Essential plot rundown: A boy wishes his teddy bear to life. I had restraints about seeing this. The trailers made it look extremely crude and vulgar and I'm not a big fan of that kind of humor. But, being a fan of Family Guy, I was interested to see Seth Macfarlane's first live action motion picture; so I went. And luckily for me, it wasn't as crude as I was expecting. There are crude jokes and moments, but that was only about 15% of the humor. (It wasn't as bad as other R-rated comedies I have seen). The rest of the humor was Macfarlane's typical Family Guy stuff. If you like family guy, you'll probably like Ted. It was the same kind of humor, just bumped up to an R level. So, I thought it was very funny. My only real complaint was the ending. I didn't feel that any of the characters changed during the movie. Unless I missed something, they seemed to be the same people in the same place as they were in the beginning. Essential plot rundown: A group of astronauts are sent to Jupiter to figure out what happened in 2001: A Space Odyssey because no one knew what the hell happened. Let's face it, 2001 made no sense. So, it's a little nice to have some answers; however this movie only answers one question. And that question was why HAL malfunctioned, which is on the bottom of the list of things that need to be answered. Everything else is left unexplained. In fact, this movie leaves even more questions to be answered. With 2001, I didn't know what was happening or why it was happening. However, it kind of worked with the movie's non-traditional style. With 2010, however, I know what is happening, just not why. And it doesn't work for me; I wanted answers. Essential plot rundown: Two people try to record evidence of a woman's ghost who was murdered in the hotel. I heard from a friend that this was really scary. So I decided to check it out. I then decided to disagree. 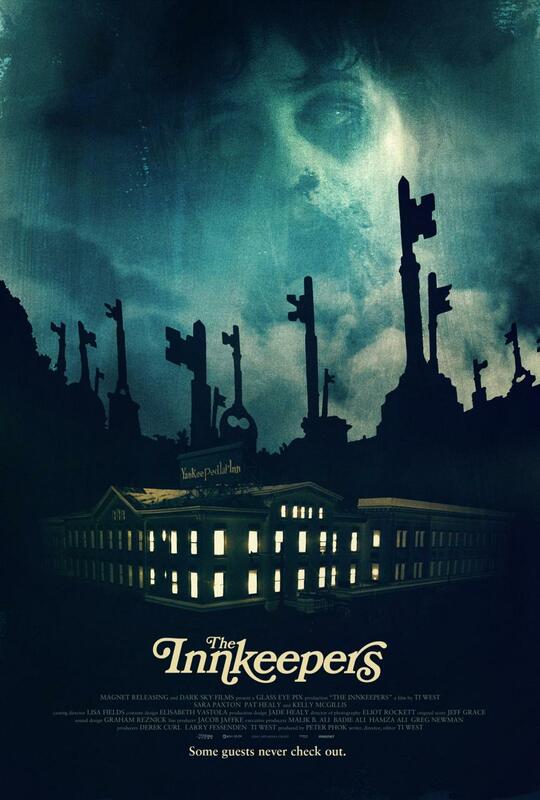 I did not think that this movie was scary out all. It was just another mediocre haunted house film. The script was kind of weird and the dialogue did not seem natural. Also, I did not like the main actress; she gave off a vibe like she was a little kid. Needless to say, I was not a fan. Essential plot rundown: Merida doesn't want to get married. That's all of an intro I have. I thought it was pretty good. The visuals were good. The story, while nothing too new, worked. You do care for the characters and want them to find what they need. There was a scene where the mother protects Merida, that chocked me up a little. I guess I'm getting a little too sentimental in my old age. The only thing that I didn't really like was some of the slapstick humor. But, then again, the kids need to be entertained as well. Oh, she also has to follow these blue things (see poster above) but they are so close together that there is no challenge. She might have well been following a yellow brick road. So, overall, I would recommend Ted if you are a fan of Family Guy. 2010: The Year We Make Contact is really only worth watching if you're a fan of the first. 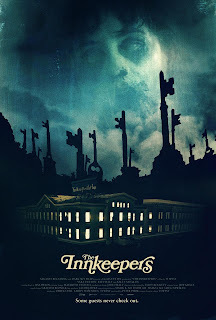 I didn't like The Innkeepers. 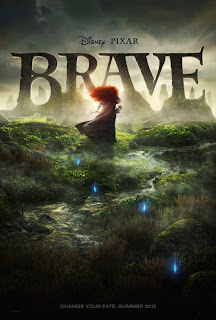 And Brave is definitely worth checking out.